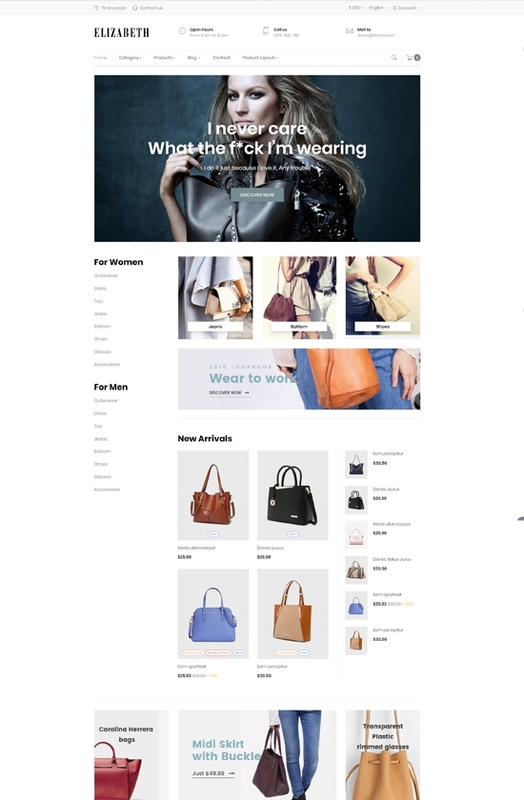 Leo Elizabeth is a modern, compact, rich built-in functioned Prestashop theme, built on the best Prestashop Framework for fashion store. Leo Elizabeth is your right choice if you are looking for a clothing theme, fashion theme. 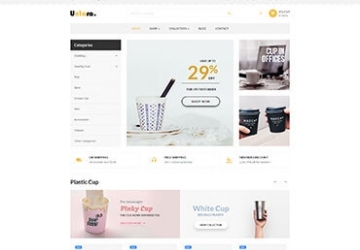 This premium Prestashop theme owns an elegant look on the bright background color to highlight the products. All pages are designed with clean and creative design to show products in the smartest ways. Interestingly, the addition Megamenu in horizontal styles will help to organize your products in a more visual way to web-visitor. Moreover, with the integration of many other strong modules from Leotheme like Leo Slide Show module, Leo Feature module, Ap Page Builder module, there is no need of 3rd party’s extension. Leo Slide Show allows you to add attractive images or video to grab your web visitor's attention from the first screen. Together with Leo Slideshow, a lot of banners will support you to promote your products or items for your marketing campaigns. 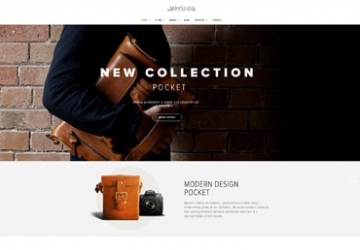 Leo Feature with Ajax cart will make the purchase of customers become more interesting. The Cart will always be ready and handy for check and control the purchase. Especially, Ap Page Builder module with the newly updated feature permits you to self-building your product detail page as you want with 7 available layouts. Leo Elizabeth is totally responsive to be seen perfectly on any screen. Born in the latest version Prestashop 1.7.3.2, Leo Elizabeth supports multi-language, RTL layout. What makes Leo Elizabeth Responsive Prestashop Theme special?